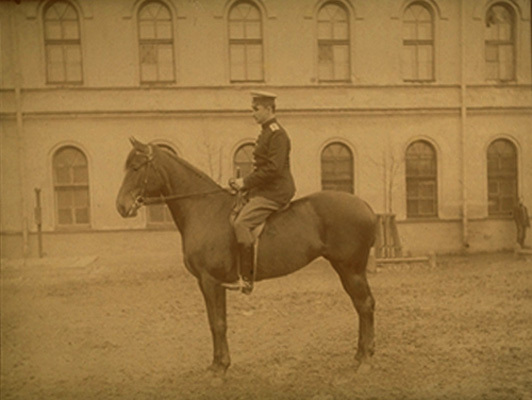 Riding was an essential part of the cultivation of a young nobleman, and for Mannerheim it became a way of life, when he began his lifelong career of a cavalry officer in the Nicholas Cavalry School in St Petersburg. 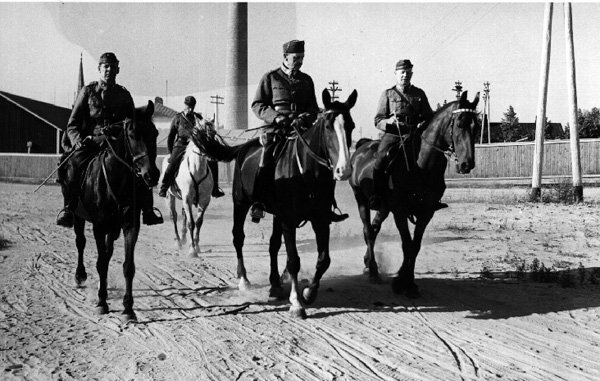 His knowledge of horses increased considerably in the administration of the Imperial Stables, when he bought horses for the Emperor, and furthermore as the chief of the Model Squadron in the Officers Cavalry School. 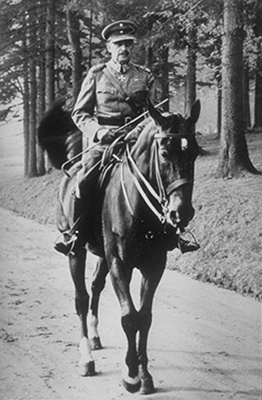 In the Finnish army too Mannerheim was a "cavalryman", and was promoted General of Cavalry in 1918. 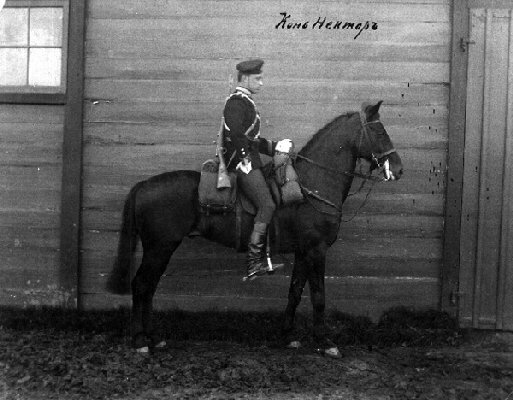 He also became the honorary commander of the Uusimaa Dragoon Regiment, and he was a frequently seen spectator in riding competitions. 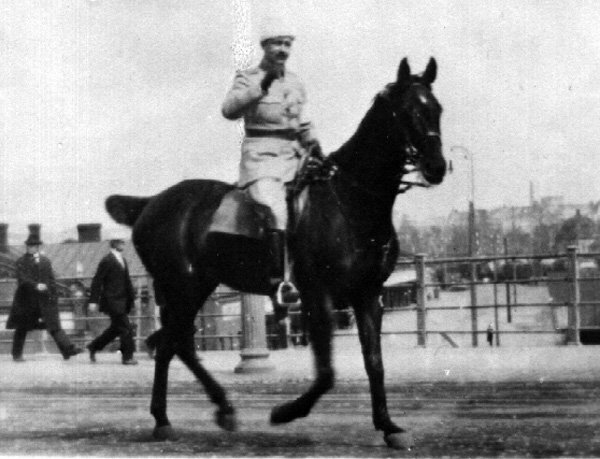 The best-known of Mannerheims horses are Filip from his expedition in Asia, Neptun, which he rode in the Great Parade of Helsinki on 16 May, 1918, and Andermann, which he had while in the Defence Council and which died in 1939. 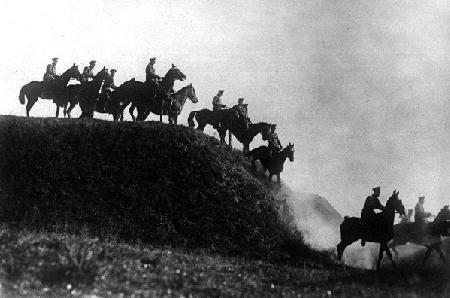 Kate or Käthy was Mannerheims horse during the wars. 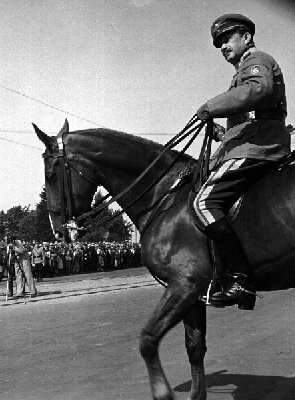 He occasionally rode Kate in the Mikkeli headquarters. Kate was also present at Mannerheims funeral.